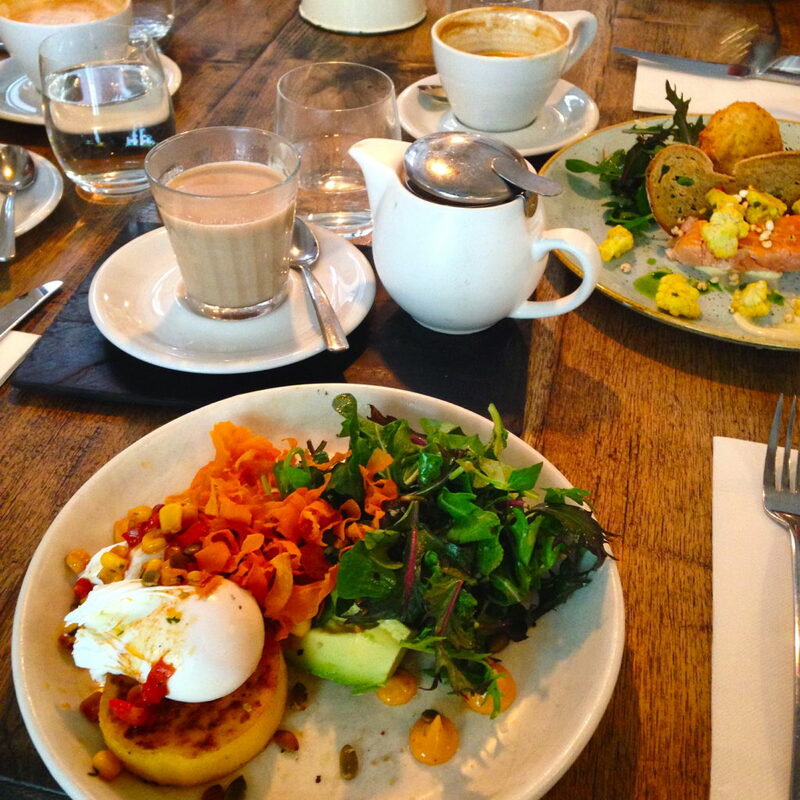 After living in New York City for a while, I became pretty obsessed with brunch. When I moved away, I didn’t think I would find a city that took its brunch quite as serious as New Yorkers do. 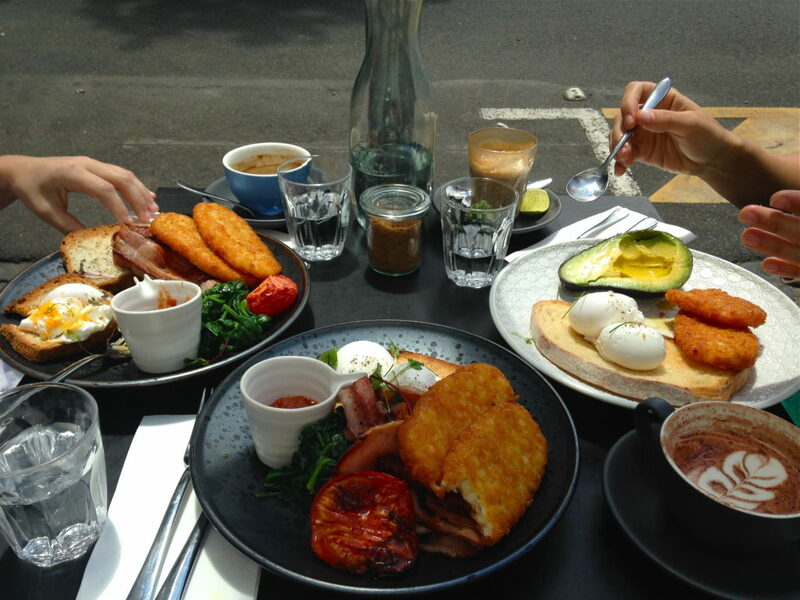 But surprisingly enough, I think Melbourne does brunch just as well or maybe even better than NYC! I’ve been to lots of amazing brunch spots, and there is always a good mix of sweet and savoury brunch options depending on what you’re in the mood for. 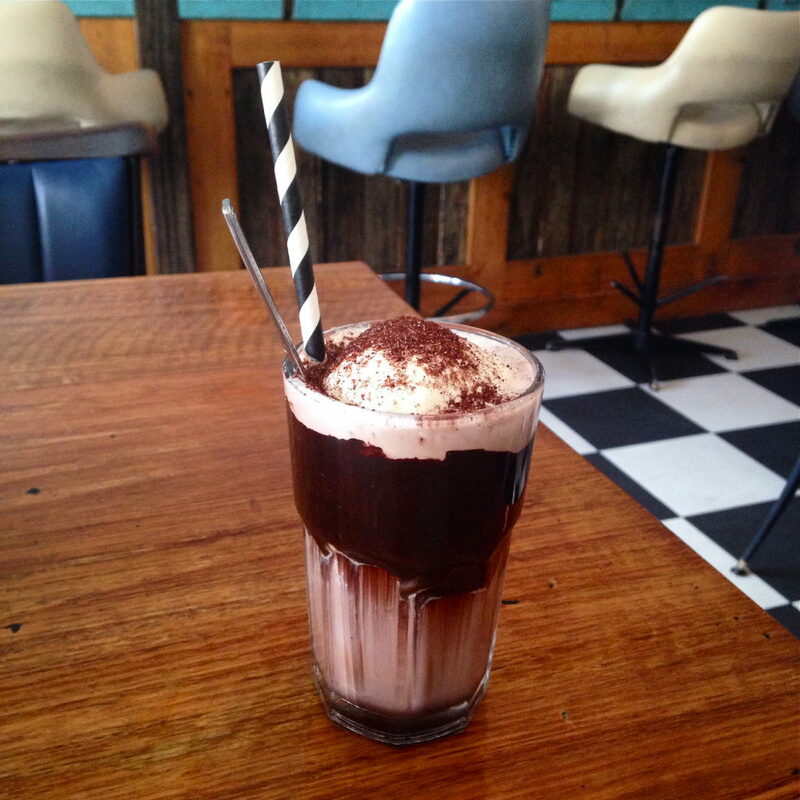 Melbourne also takes its coffee and drinks A LOT more seriously than New York! I usually order chai lattes or hot chocolate, but if you’re a coffee drinker, you’ll be spoiled for choice with all the different kinds you can get. 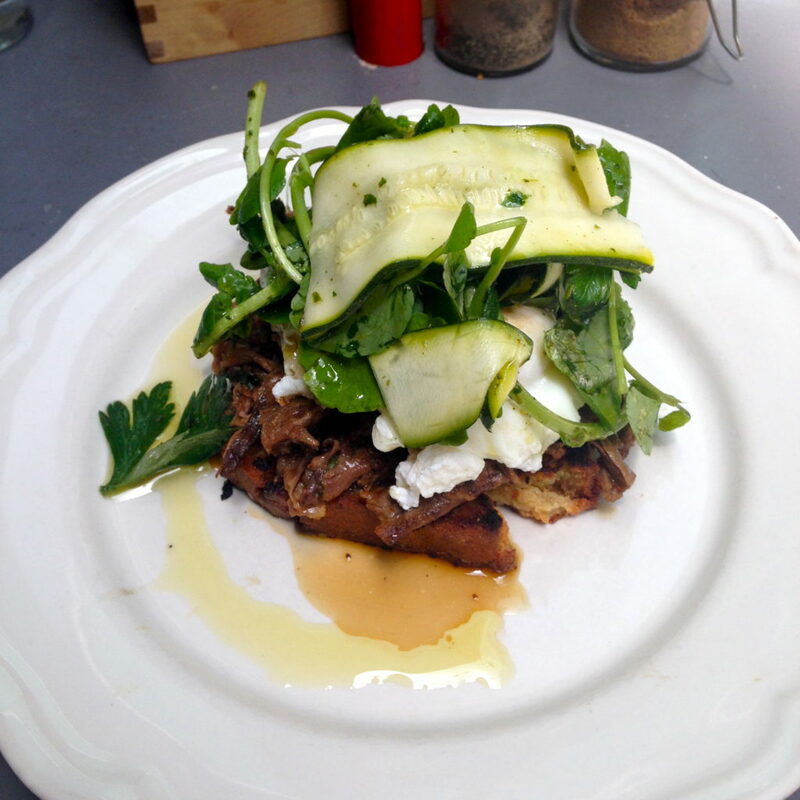 I went to the Grain Store on one of my first days in Melbourne, and it was my first taste of Melb’s brunch scene. It did not disappoint! The restaurant looks so cute inside, and you’ll seriously want to order everything on the menu. It changes up sometimes, but some of the dishes you’ll always find are pancakes with chocolate and fruit and so many dishes with bacon, eggs, and avocado. Looking at their menu now, I see they added pumpkin and oregano potato gnocchi, so I might need to visit soon to try that! They also make some fresh-squeezed juices, and like most cafes in Melbourne, more types of coffees and teas than you can imagine. I’ve been to Bowery to Williamsburg a couple times now, and it definitely has a New York brunch feel to it. Both times, I went with girls who have also lived in NYC, so it was a little nostalgic for us! This spot definitely has more savoury than sweet dishes, mainly sandwiches and burgers, and they have new specials all the time. Both times I went, I’ve ordered off the specials menu and got amazing food both times! They also have a bakery with lots of pastries and bagels inside as well. If you’re on social media, you’ve definitely seen pictures of “freak shakes” circling around the internet. Freak shakes = milkshakes on steroids. 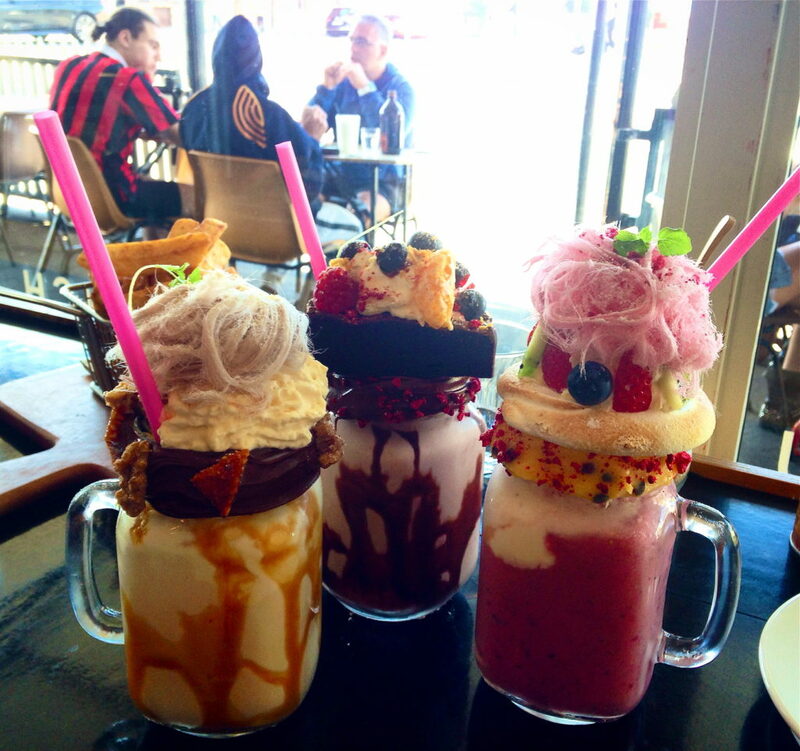 One of the best places to get freak shakes in Melbourne is Naughty Boy Cafe near Melbourne Uni. The milkshakes come loaded with brownies, caramel, nutella, toffee, meringue, fruit, whipped cream, candy floss, and lots more. They’re pretty amazing! And in case you aren’t too full after the freak shakes, Naughty Boy has tons of amazing food as well: dark chocolate waffles, red velvet pancakes, eggs benedict, açaí bowls, burgers, and lots more. Another great restaurant with delicious food, lots of variety, and a nice atmosphere. They change up their menu seasonally and serve brunch all day. I really love the location of this cafe, right down a small street in Collingwood. It’s just outside the city centre, but has a quiet vibe to it with lots of pretty buildings and cool shops nearby. This one is a local-favourite. The food is delicious and the cafe is really cute inside. What really made this spot stand out for me, though, are the iced coffee and iced chocolate. Unlike what you’d get in the US (coffee or hot chocolate with ice in it), in Australia, they serve it with ice cream and chocolate sauce…so delicious and a must-try if you visit Melbourne in the summer. Journeyman has all the food you would expect in a brunch place and some specialty drinks. 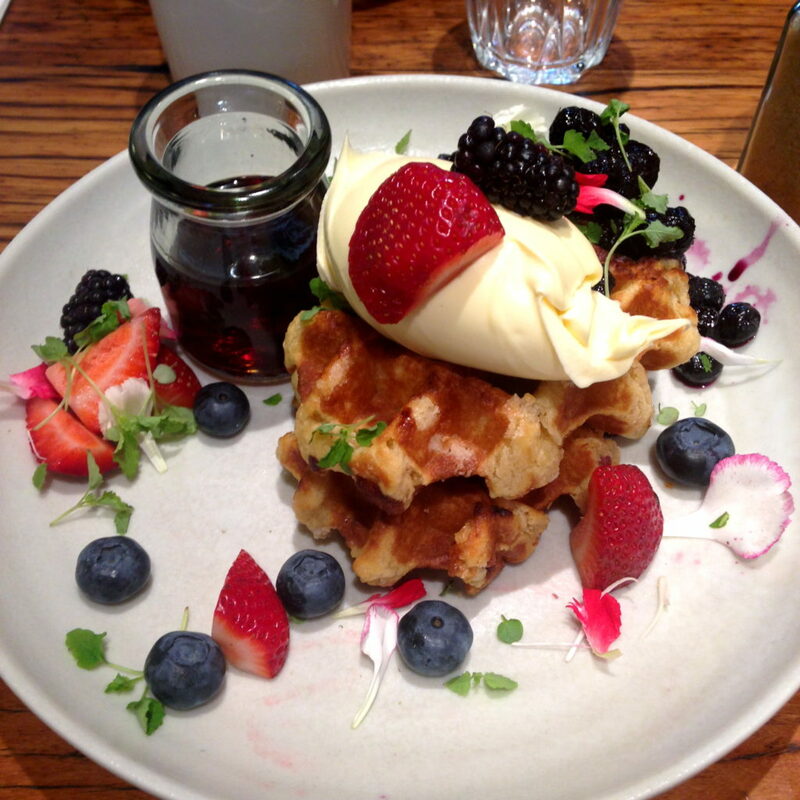 My favourite thing I’ve had there are belgian waffles with berries and cream. They also do great dishes with eggs and pork belly. I really love Journeyman for its location. 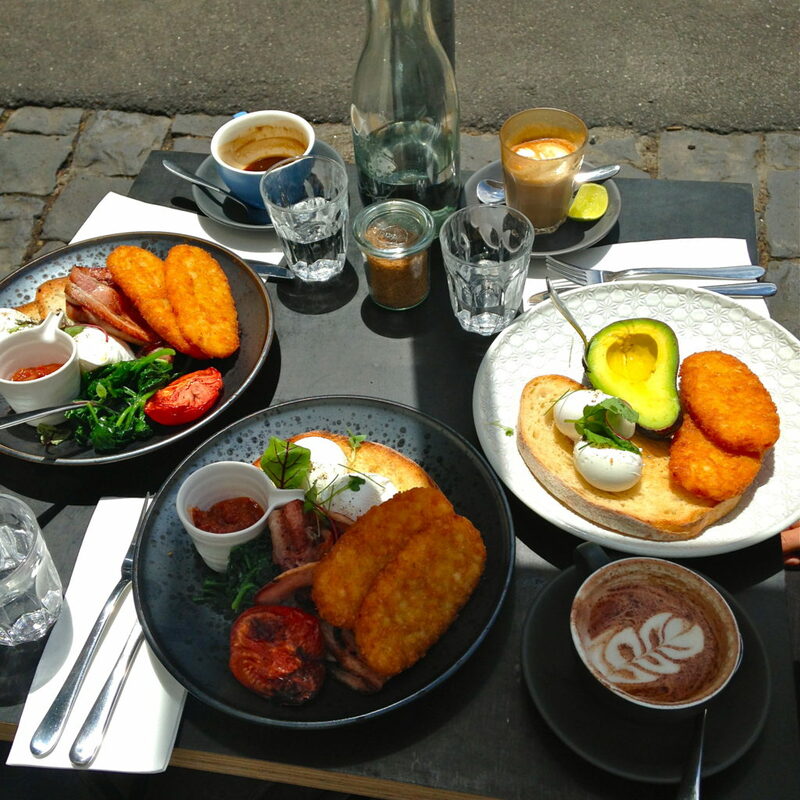 It’s right on trendy Chapel Street, so you can have brunch and then spend some time walking around, checking out all the cool shops. It’s also located right next to Messina Gelato if you can manage to fit in some ice cream after your brunch. Being from the Boston area, I’m not necessarily used to great variety in Asian food. 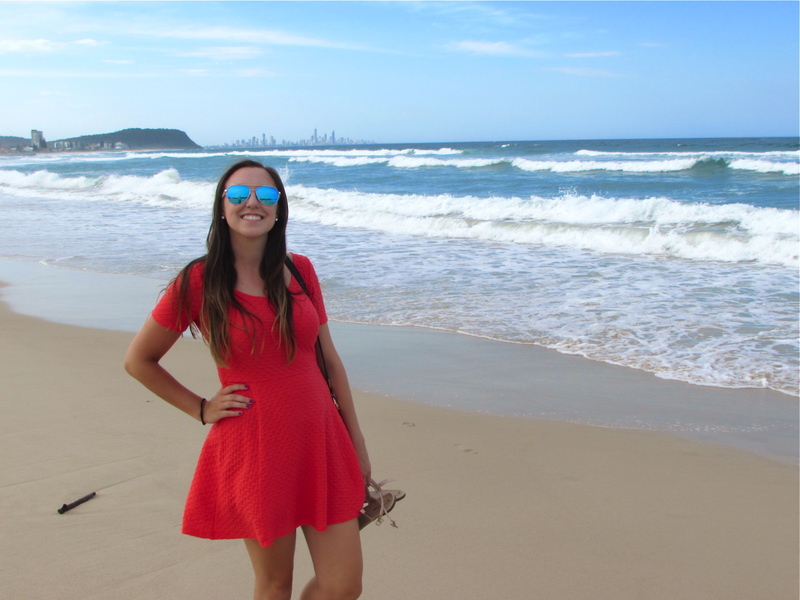 So I was amazed when I got to Australia and discovered how much incredible Asian food there is here! There’s a ton of variety, and unlike in the US where Asian food tends to be Americanised and greasy, in Australia it’s a lot more authentic and higher quality. The reason for that has to be Australia’s proximity to Asia. Between the great quality of life and the universities in Melbourne, there are lots of expats who move here from Asian countries. So along with them comes their amazing cuisine! 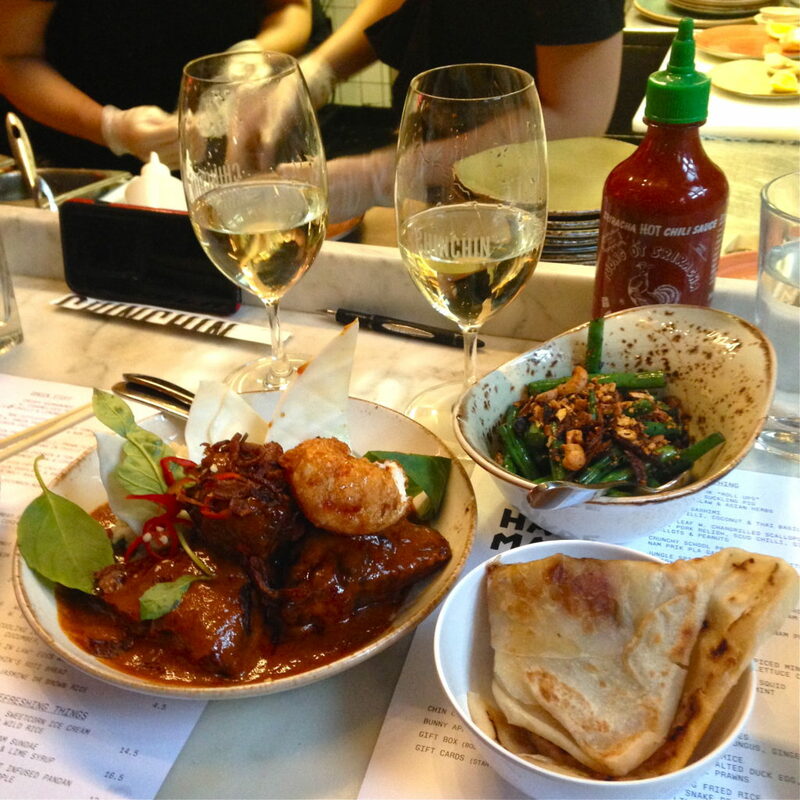 For an unforgettable Thai food experience, head to Chin Chin on Flinders Lane. Unless you get there really early, there is usually a long line for dinner and they don’t take reservations, but there is a cocktail bar downstairs where you can hang out while you wait for a table. You can order separate dishes or you can do what my friend and I did and order the “Feed Me” menu. They just keep bringing you different dishes from the menu until you’re too full to eat any more! We got to try so many amazing things that we probably wouldn’t have ordered otherwise! It’s $69 for the “Feed Me” menu, but you get more than your money’s worth, and it’s great for a special occasion. My friend and I were also seated along the counter at the back, which is really cool because you can watch as the chefs prepare the food in the open kitchen. I originally heard of Juicy Bao because they had a booth at the Queen Victoria Night Market during the summer. They’re known for their dumplings, and I tried some at the market and loved them. They also have a restaurant in Chinatown that I visited for the first time a couple weeks ago. All the food is great and it’s probably one of the most popular Chinese restaurants in Melbourne. If you visit during peak lunch or dinner times, there is always a huge crowd. The Asian restaurant that I’ve visited more than any other is Shujinko, which is open 24 hours. I have been here so many times with friends after a night out for some of their amazing ramen. No matter what time you go, it will be packed. I even barely got a table once when I went with someone around 5am! 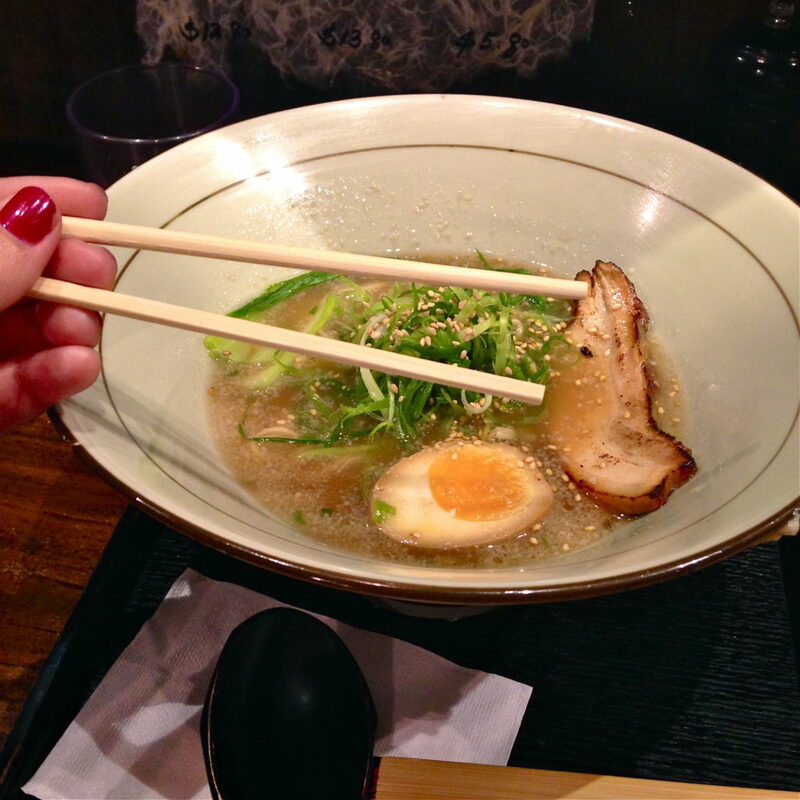 Whether you visit Shujinko during the day or late night, definitely make sure to try some of their ramen. It’s so good, and they have ones in all different levels of spiciness. The gyoza are so good too, and if you visit after a night out, keep the party going with some of their house sake! Hawker Hall is owned by the same people who started Chin Chin, but instead of Thai food, this one is Malaysian and Singaporean hawker-style food. There is a “Feed Me” menu here too, but when I visited I wasn’t too hungry so just ordered off the regular menu. I would love to go back and order the “Feed Me” menu though because all the food seems amazing and I want to try it all! They have noodle and rice dishes, dumplings, curries, satay, stir fry, and lots more. When I visited Singapore and Malaysia back in February, I was so amazed by the food, and Hawker Hall seems to really do justice to the amazing food scene in those countries! I’ve been to so many different dumpling restaurants in Chinatown, and this is the one I return to most often. The prices are great and there is such an extensive range of dumplings you can order. 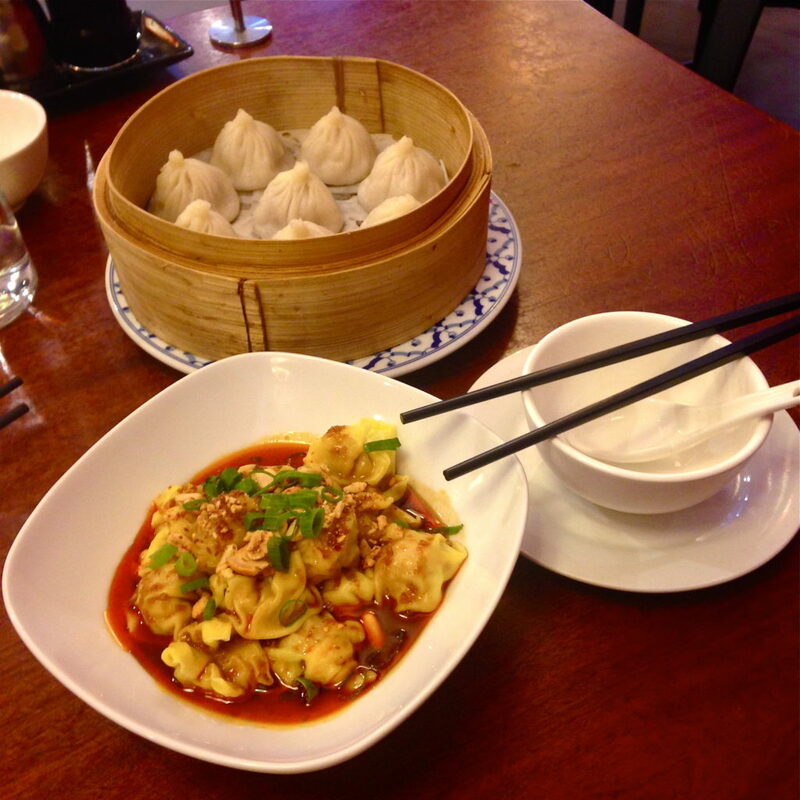 My favourites are always xiao long bao (soup dumplings) and pork dumplings, both delicious at Shanghai Village. On my most recent visit, I went with a bunch of friends and we must have ordered about ten different types of dumplings, so we could try a little of everything. Great decision! They also have lots of great rice and noodle dishes, and it’s BYO so you can take your own wine or beer to the restaurant! I’ve been to this restaurant a few times now to take advantage of their $7 lunch special. 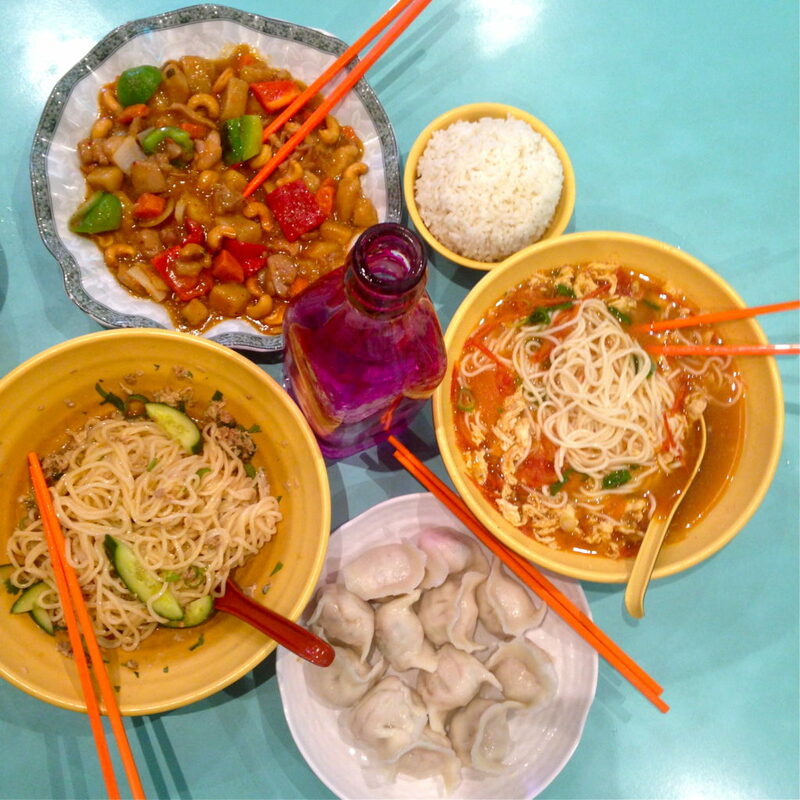 They have lots of options on their lunch menu—noodles, rice, dumplings, chicken, seafood, and soups. It’s a really casual place, but whenever I’ve gone there’s a crowd and the food has a really authentic feel to it. Definitely one of the best cheap lunches you can get in Chinatown. This is a another little gem in Chinatown. The food is great and authentic, it’s extremely popular, and the prices are good. They specialise in Chinese food that you would find in the Shanghai region of China with lots of typical local dishes on their menu. I haven’t been to this restaurant quite yet, but can’t wait to try it out. After visiting Singapore, I fell in love with the food there and the hawker-style restaurants. Killiney Kopitium was originally opened in Singapore in 1919 and brought that really authentic Singaporean feel to some locations around Melbourne as well. The menu is full of traditional Singaporean foods like chicken satay, chicken and rice, kaya toast, nasi lemak, laksa…way too many amazing dishes to choose from! For some Vietnamese food, Saigon Street Eats is a hidden gem in St Kilda East. They specialise in authentic Vietnamese street food, all of which is pretty healthy. All of their dishes look amazing and so colourful—pho, rice paper rolls, banh mi, dumplings, and lunch box specials. Unfortunately I haven’t been to this restaurant yet either, but it’s near the top of my list! I’m starting a new job next week, and this restaurant is pretty close by, so I expect I’ll be visiting for lunch pretty often! After Asian, the cuisine that’s probably most popular in Melbourne is Italian. There’s a huge Italian population in Melbourne, particularly in Carlton. The most popular Italian street is called Lygon Street and is lined with delicious restaurants, cafes, gelaterias, and shops. It’s known as the “Little Italy” of Melbourne and probably the closest you’ll get to Italy in all of Australia! I moved into a house just a block away from Lygon Street a couple months ago, so I have gotten to know the area pretty well. I visited Ti Amo with my parents when they were visiting and we all absolutely loved it. The menu has so many different pastas and pizzas you can choose from, and the food at all the surrounding tables looked and smelled incredible. We all chose different pasta dishes along with some wine, and even though we were so full, I think we managed to finish every bit of food on our plates! There’s lots of outdoor seating, so as long as it isn’t too cold out, it’s the perfect place for people watching. But be warned: what they consider a “half carafe” of wine, in the US we would consider it a full carafe…so we unknowingly ordered almost a full bottle of wine each! (Either that or the server liked us and gave us free wine upgrades!) Ti Amo is also right next to a really popular gelato shop called Pidapipo, so if you aren’t too full after your dinner, you can treat yourself to a cheeky ice cream. The first time I walked into Brunetti, I was so shocked by how big it is! At the front, there are counters where you can order pastries, in the middle there is a drinks counter, further back there’s gelato, and in the very back is a full restaurant. They also sell really amazing cakes for special occasions. I haven’t tried the actual food here yet, but for a cafe snack, I don’t think there’s anywhere better. 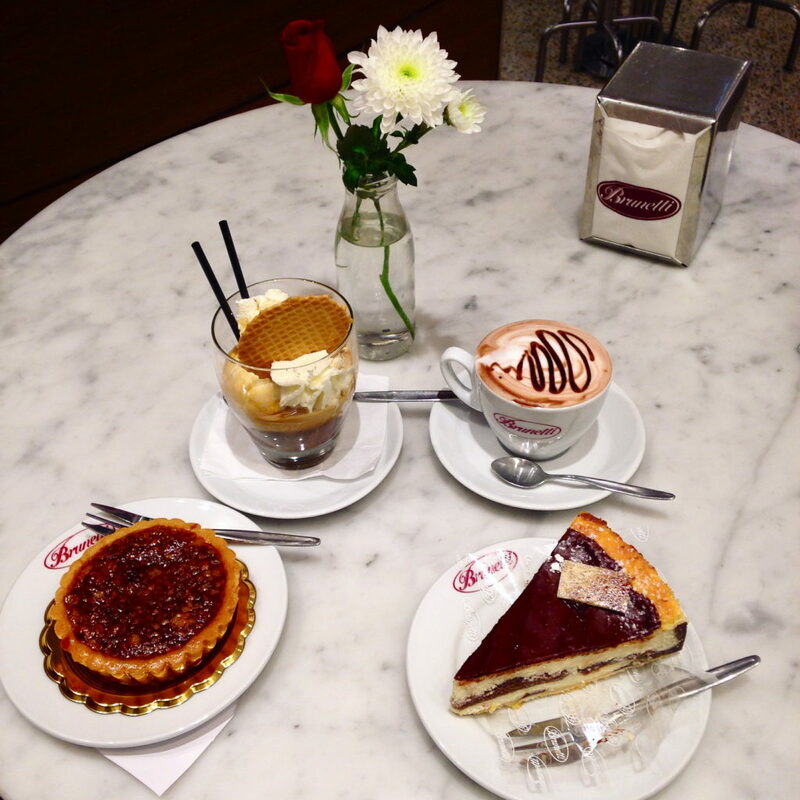 I had such a hard time choosing what pastry to order since they all look so delicious, and they have such a huge variety of Italian drinks you can order. My friend ordered an affogato, which is espresso with ice cream in it and looks delicious! Two of my housemates work here, and they are constantly bringing home pizza and pasta at the end of their shifts. Those look so good as well, so I’ll definitely need to try it for lunch or dinner sometime. This one is a mix of Italian food and some other Mediterranean food. It’s right in the heart of Hardware Lane in the CBD, a small laneway lined with awesome restaurants and cafes. What’s great about this restaurant are its lunch specials for $10. They have lots of different pasta, chicken, steak, salad, and fish dishes to choose from. And if you’re more of a breakfast person, they serve all-day breakfast as well. My parents and I liked this restaurant so much, that we ended up going there two days in a row for lunch! You can’t visit Australia without trying Messina at least once. 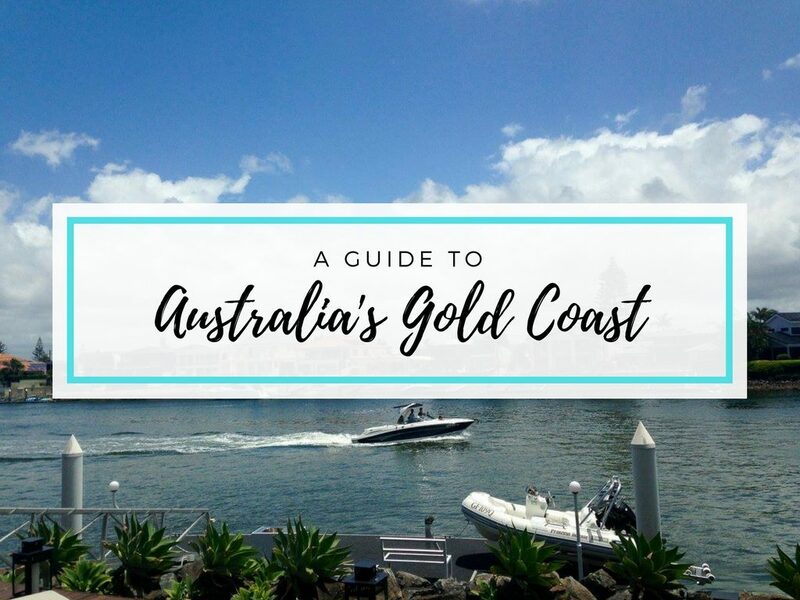 It’s a gelato shop with locations in Melbourne, Sydney, and the Gold Coast with literally the most amazing gelato I have ever tasted! There are so many different flavours, and every week they have five new specials, so there’s always something new to try. And being lactose intolerant, I can rarely have real gelato any more, but the sorbet at Messina is the best sorbet I’ve ever had. They have lots of fruit flavours, but amazing chocolate and coconut as well that are so creamy and taste like real ice cream! I have had Messina more times than I can count, and every time it’s just as amazing! 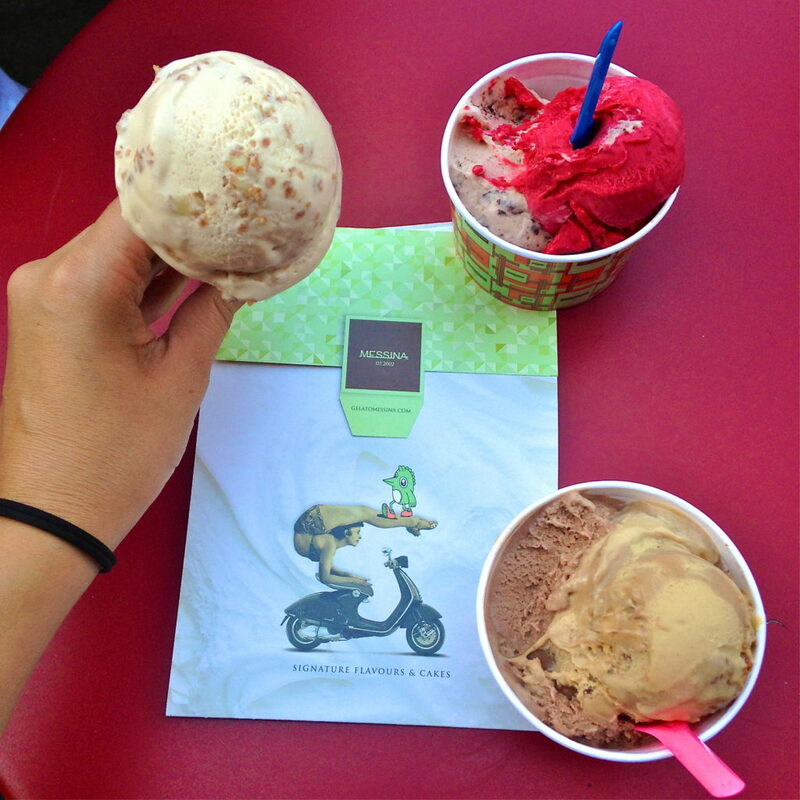 There are a few Messina locations around Melbourne and all are on cool streets to sit with your gelato and people watch. D.O.C. is one of the Italian icons in Melbourne. They actually have three different locations, each specialising in something different. One serves espresso and coffee, one serves sandwiches, and one serves pizza and pasta. I have yet to visit any of their locations, but they are at the top of my list! Their pizza has won awards and is considered some of the best and most authentic Italian food in Melbourne. Along with Brunetti and D.O.C. Espresso, Pellegrini’s is one of the most respected Italian cafes in all of Melbourne. It has been around since the 1950’s and has barely changed in the years since then. 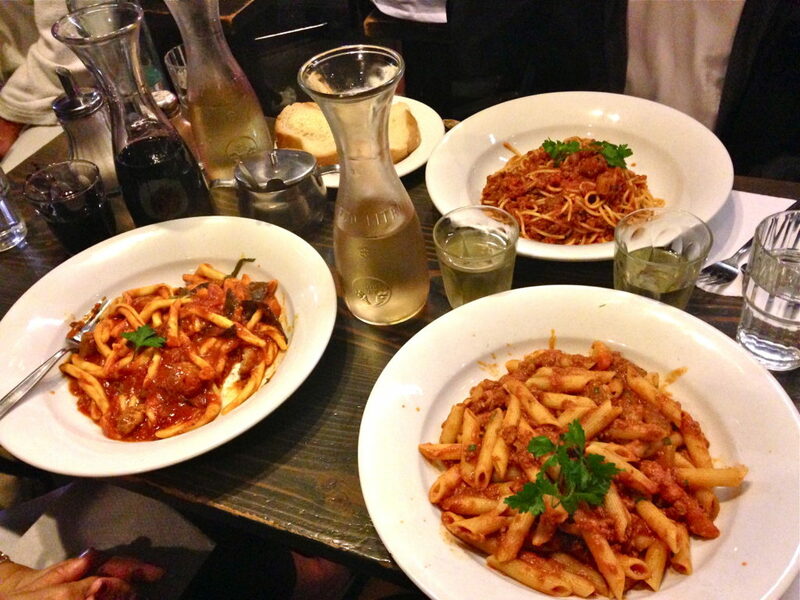 Their specialties are their coffee drinks, but they also serve lots of delicious Italian food. The cafe is really known for its atmosphere and having a welcoming vibe, like you would find in a small village in Italy. A lot of people consider Pellegrini’s to have the best coffee in Melbourne, and for a city that takes its coffee so seriously, you know it must be good! Compared to some other cuisines, Mexican and Spanish food definitely isn’t quite as common in Australia as I’m used to in the US. But there are some great restaurants to try! They tend to be slightly different than the Mexican and Spanish food you’ll find in America, which tends to be greasy, fried, and more Tex-Mex influenced than authentic food. I have loved all the Mexican and Spanish food I’ve tried here though! 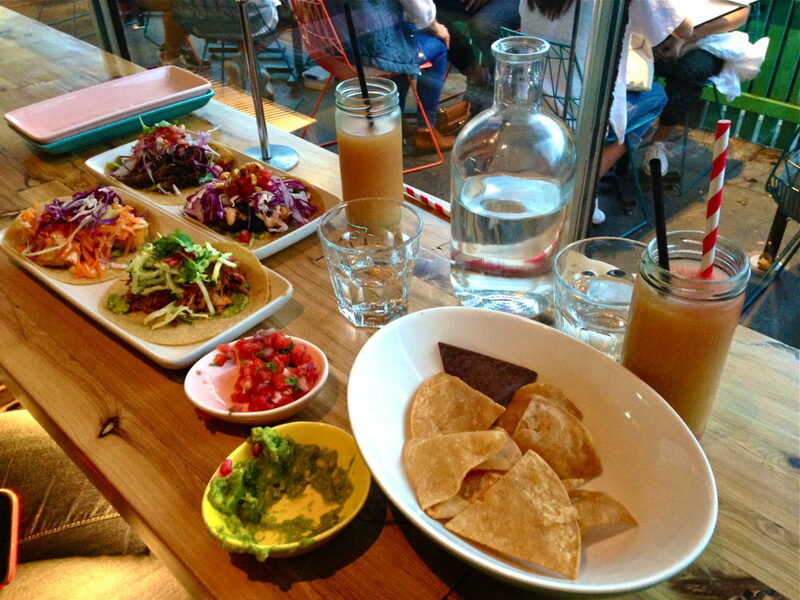 Fonda is a Mexican restaurant located on Chapel Street and they’re known for their amazing tacos. They are definitely different than the tacos you would normally get in the US loaded with cheese and sour cream. But dare I say, I liked them way more! There is a lot of variety in their tacos, and they are all on the healthy side. There’s one with prawns, kimchi, and pineapple; one with pork, guacamole, zucchini, and pomegranate; and another with chicken, guacamole, corn, and chillies. Even their burritos have a healthy spin, coming with quinoa, lean meat, and fresh veggies. I went with a friend and we decided to split four of their different tacos. Great decision! Also be sure to order one of their delicious margaritas to enjoy with your meal. I visited Amigos for happy hour when my mom was visiting. The Mexican food here is definitely more like you would see in America, loaded with cheese, guacamole, sour cream, and pico de gallo. They serve pretty much any kind of Mexican food you could want (burritos, tacos, enchiladas, fajitas, nachos) as well as tapas and drinks. The happy hour sangria is pretty great and you can tell it’s really fresh! For some Spanish tapas, Movida is a bit of an institution in Melbourne. 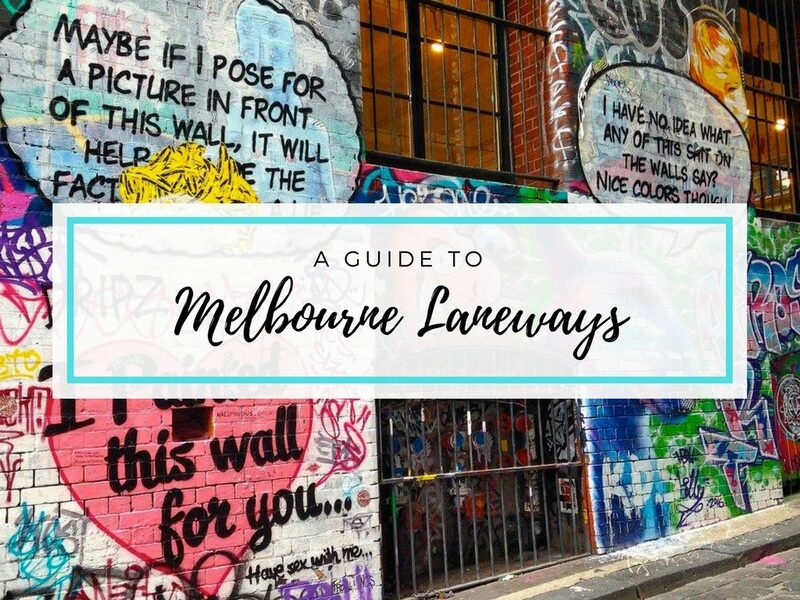 They have a couple locations around the city now, but the original one is in Hosier Lane, the famous street art laneway in the city’s CBD. There are tons of authentic Spanish tapas on the menu, and they are all pretty cheap so you don’t have to feel guilty about ordering up half the menu. On the drink menu, they have heaps of different beers and wines that come directly from Spain. Overall, Movida is such an authentic experience! And one more super popular Mexican restaurant in the city is Mamasita. They are popular for putting a modern spin on traditional Mexican foods, and really staying true to the vibe you would find in an authentic Mexican taqueria. The food is served “family style” on large platters, and everyone at the table shares a bit of everything, so it’s best to visit with a group. The food is awesome, but what really stands out on their menu are the drinks. They have amazing margaritas and cocktails, along with a more extensive tequila list than I have ever seen in my life! 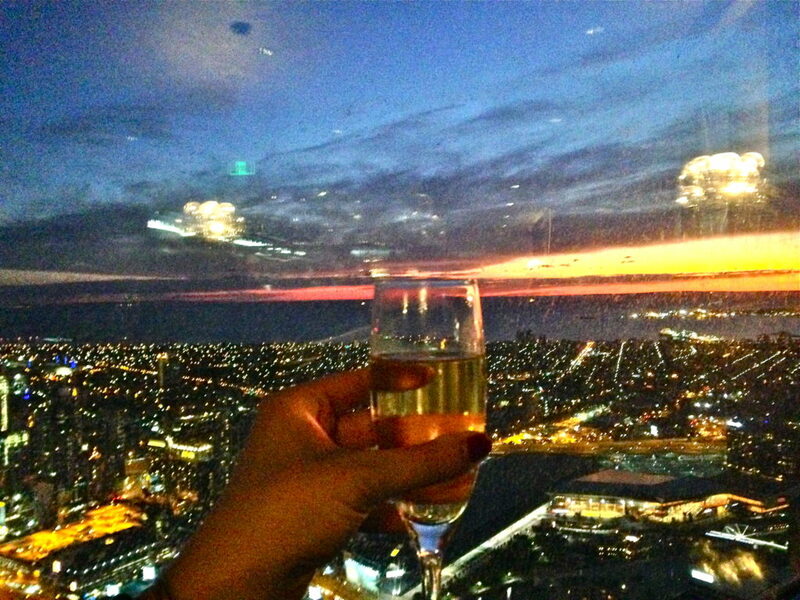 Since I’m a broke backpacker, I haven’t been able to try out many high end restaurants myself, but if you’re looking for somewhere to spend a special occasion, Melbourne has some perfect restaurants for you. 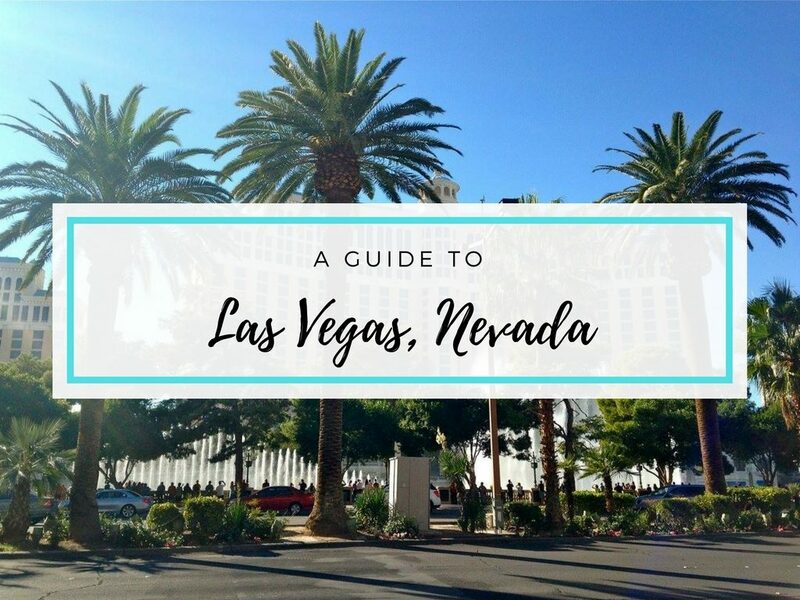 I have some chef friends who have worked at high end restaurants in the city, and from what I’ve heard from them and photos I’ve seen, the food in these restaurants is pretty incredible and an amazing all-around experience. Dinner By Heston is probably one of the best-known restaurants in the city. The famous chef Heston Blumenthal started this restaurant based on his love for British history. His food puts a contemporary spin on classic British-inspired food. One of their starters is constantly popping up in my Instagram feed just because it’s so cool looking—the meat fruit, which is paté that looks like a mandarin orange. I’ve also heard a lot about their tipsy cake dessert, made with pineapple. Everything on the menu sounds amazing, and I’ve heard nothing but good things so you really can’t go wrong with whatever you decide to order! The restaurant has a really elegant design with dark wood, leather, and velvet and an open kitchen where you can watch the talented chefs prepare the food. The restaurant is definitely expensive though, so don’t plan to leave without spending at least a couple hundred dollars! Vue De Monde and Lui Bar are separate places on the 55th floor of the Rialto building in the city, but you could easily stop by both back to back. Vue De Monde is a restaurant and Lui Bar is a cocktail bar, and both have incredible views over the city. I was actually lucky enough to visit Lui Bar with some friends, including one who had previously worked there. We only ordered drinks, but because we were with a former employee, they kept bringing us champagne and lots of food so we could get a taste of everything on the menu! My favourite were the nutella-filled doughnuts, but everything they brought us was amazing. If you like coffee, definitely try the espresso martini. My friends ordered that and the way they serve it is so cool! I ordered a piña colada which was also great. After Lui Bar, we also got a little tour of Vue De Monde where another friend worked. There is an open kitchen at this restaurant too and the design is beautiful. Again, I have only heard good things about their food so I really don’t think you can go wrong with whatever you order. Like at Dinner, be prepared to pay quite a lot for your meal. 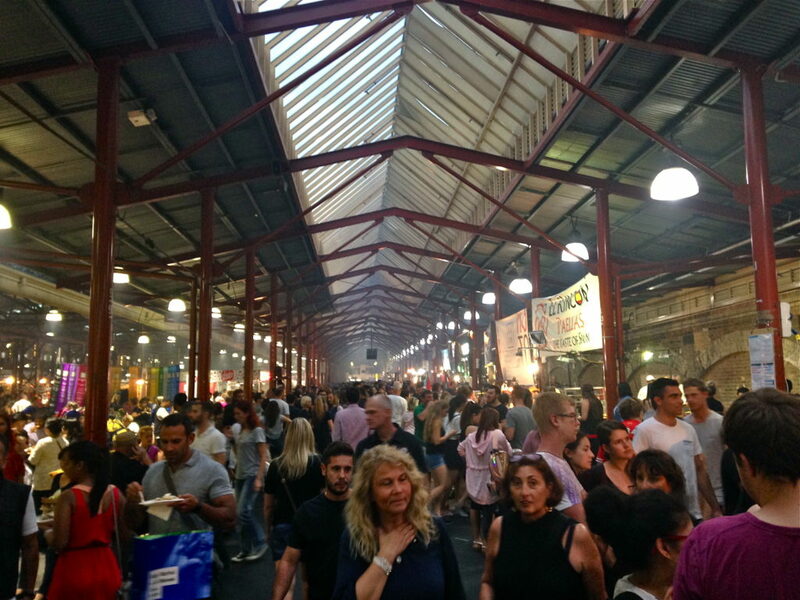 If you’re in Melbourne in the summer or winter, probably the best place you can go for food is the Queen Victoria Night Market on Wednesday nights. There are hundreds of booths lined up selling every type of food you can possibly imagine. In the summer, there were some summer-themed foods, and now that the winter market has started up, they have lots of winter-inspired foods and drinks like soup in bread bowls, curry, chips with gravy, mulled wine, and hot apple cider. There is also lots of live entertainment and booths selling souvenirs and clothing as well, so it’s the perfect place to spend your Wednesday night! Don’t be put off by the fact that this is a vegan restaurant. 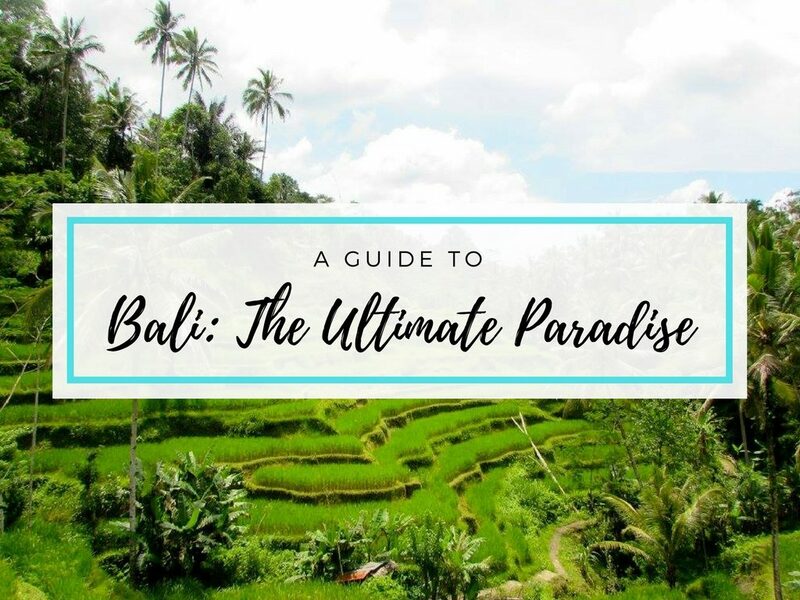 It has some really great food and is one of the most popular places to go among locals and backpackers who are on a budget. The menu changes up daily so you can’t easily get tired of eating there. I never knew there was so much you could do with vegan food, but they always have lots of delicious and creative options, usually inspired by Middle Eastern and South Asian cuisines. There are several locations around Melbourne. At some, you order specific things from the menu, but the one I’ve visited most often at the Abbotsford Convent is buffet style, so you can try a little bit of everything. And what makes the restaurant so unique is there are no set prices. They have recommended amounts for you to spend, but there are boxes near the exit so you can discreetly pay whatever you think the meal was worth. Even though Grill’d is a chain restaurant, it has some of the best burgers I’ve tasted. They have lots of different beef, chicken, and lamb burgers with so many amazing toppings. My favourite is a burger with pineapple and avocado, and the sweet potato chips (fries) are amazing. All the food has a healthy twist to it, so you can eat lots without feeling guilty afterwards. 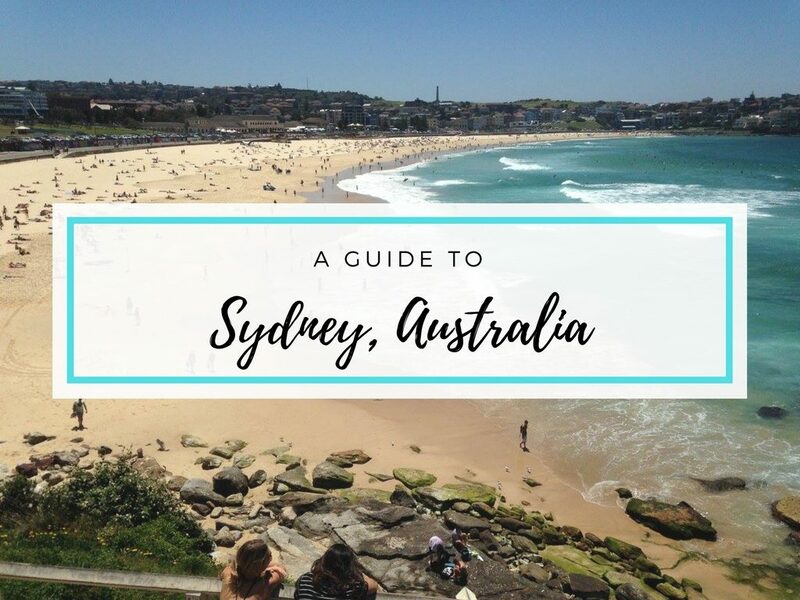 There are a ton of locations around Melbourne, so you won’t have much trouble finding one, and they’re always pretty crowded! 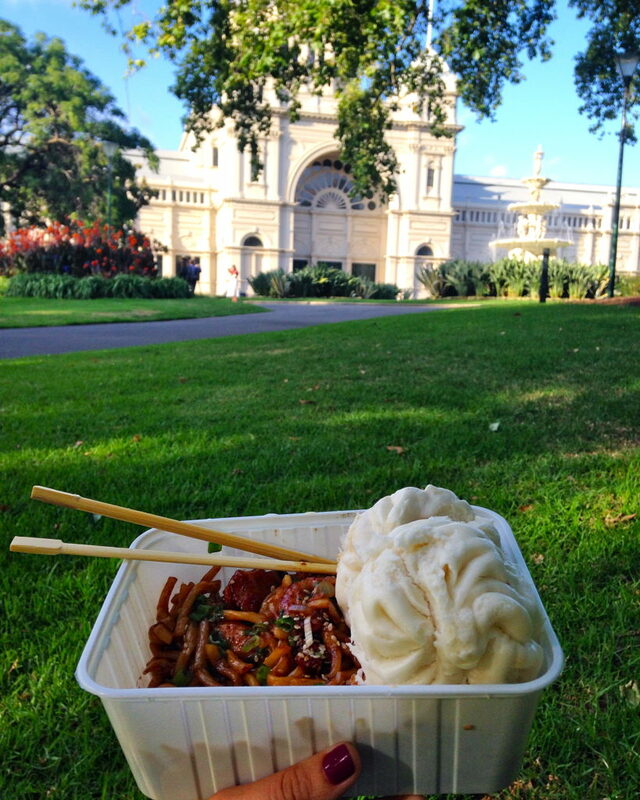 What are some of your favourite places to eat around Melbourne? If there’s anywhere I left off the list, let me know in a comment so I can be sure to check it out! I really recommend the Ethiopian restaurant called “Little Africa”. It is in North Melbourne (close-ish to Queen Victoria Markets). And it is AMAZING! Definitely recommend!